Natural Apple Extracts, our antioxidant-rich APS formulation, Olive Oil extracts, Aloe and essential oils including Bergamot, Lemon and Spicy Clove. Suitable for all skin types, especially sensitive and reactive skin. 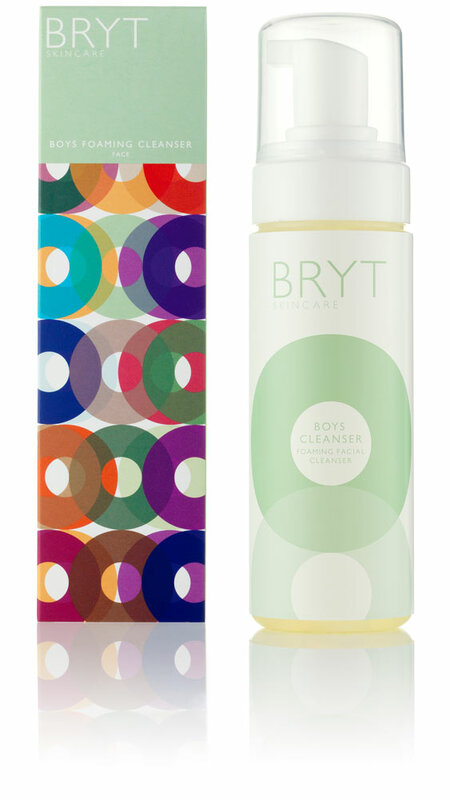 BRYT Foaming Cleanser for Him contains our antioxidant-rich APS formulation which includes Kakadu, Illawarra and Burdekin Plums wild-harvested in Australia, plus skin softening Aloe in its purest form. Olive oil extracts moisturise as you cleanse, providing extra nourishment. Essential oils of Bergamot (effective against acne), Lemon and Orange plus Geranium and Spicy Clove, invigorate while nurturing and nourishing skin, leaving it calm, smooth, refreshed and supple. Pump a walnut sized amount of foam into the palm of your hand. Rub gently into the face and neck, releasing the active ingredients. Using BRYT Mitt, gently rinse with warm water using a massaging motion, paying attention around the delicate eye area not to rub too harshly. Ensure you rinse BRYT Mitt and leave to air and dry. We recommend you have 2 mitts for hygiene purposes. Follow your regime with BRYT Shave for Him (Step 2), a luxurious shaving fluid rich in nourishing oils to feed skin right down to cell level. If not shaving, then simply follow with BRYT Moisturiser for Him (Step 3). My sons' skin is so much clearer and less greasy in appearance. Will be purchasing a moisturiser to compliment it, if there is one available in this particular range. A really nice facewash that not only works well, but smells fantastic too. It's not too harsh on your skin which is a nice change from the usual high-street products. Well worth it! This product works. My son has used lots of products and this is the only one which keeps his skin clear. It is packaged beautifully, smells nice and works. Excellent product and visible signs of skin improvement within a few weeks. Enthusiastic reports from my son! Thank you. We hope your son's skin continues to improve as it once again finds its natural equilibrium.